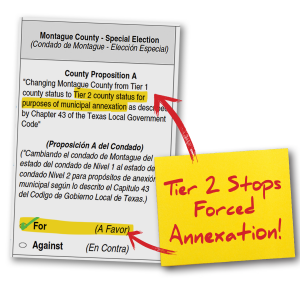 Stop Forced Annexation. 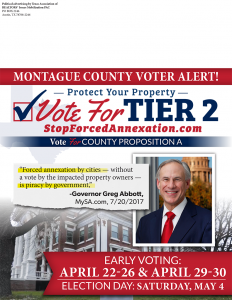 Vote FOR Tier 2 and Montague Proposition A! 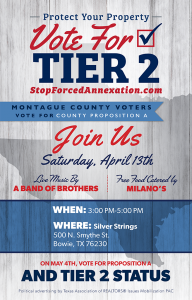 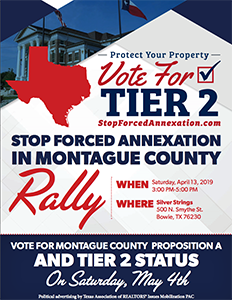 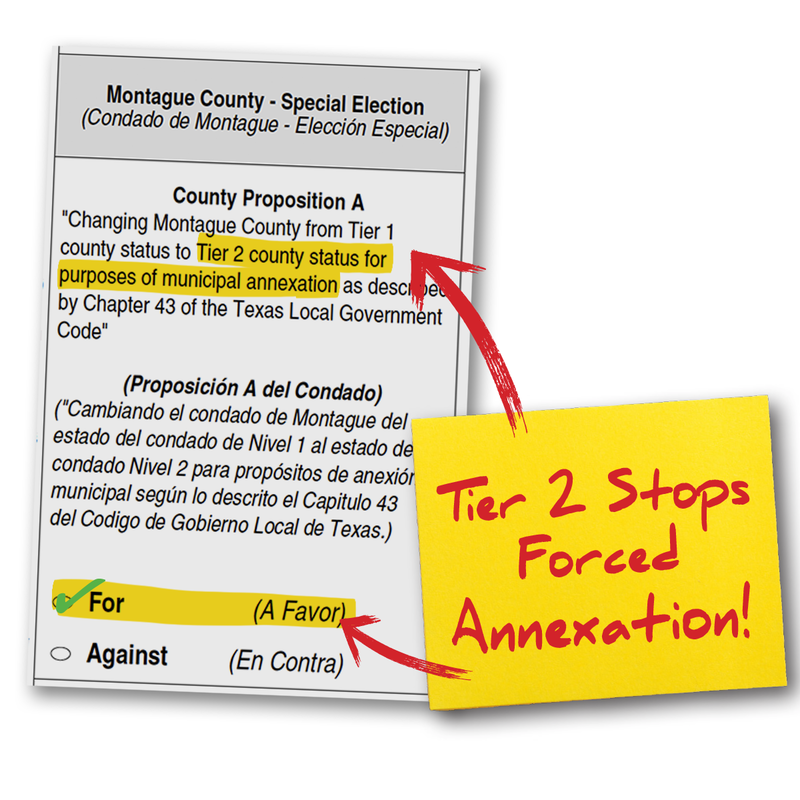 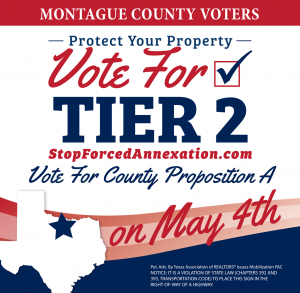 Why are Montague County Residents Supporting Tier 2?